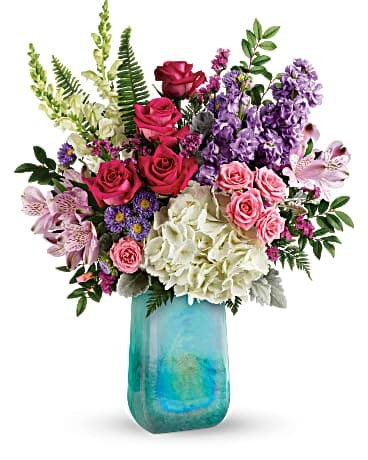 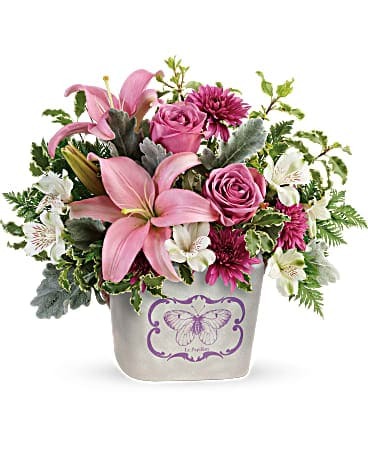 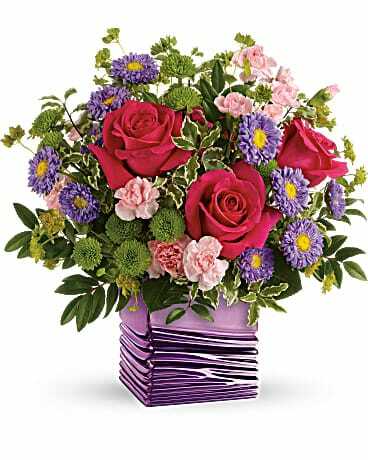 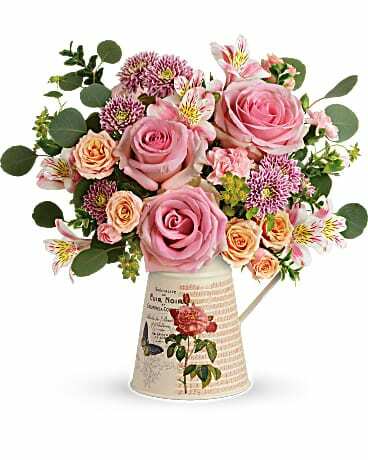 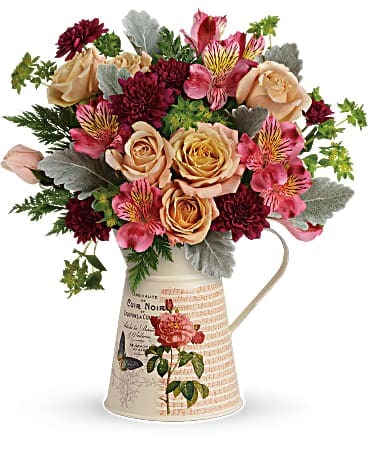 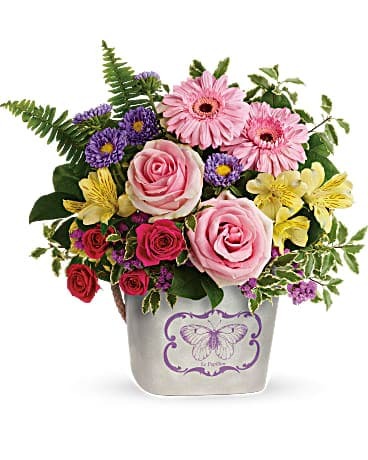 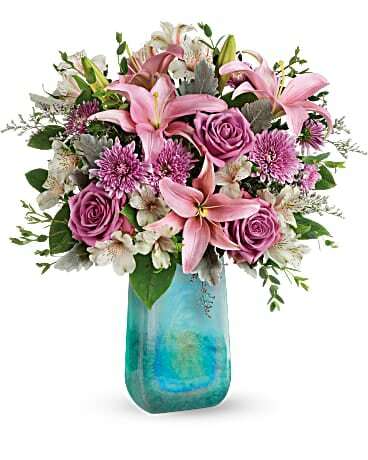 This gorgeous arrangement, with its bold, beautiful flowers and foliage, offers some of the best of the tropics. 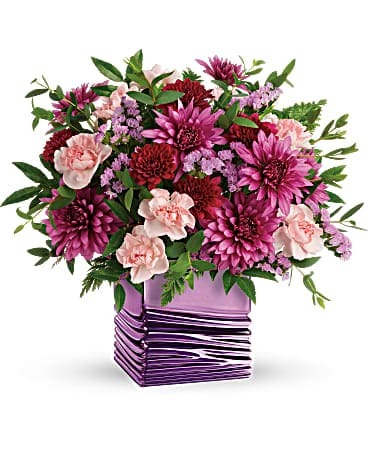 Sure to add sizzle to any home or office. 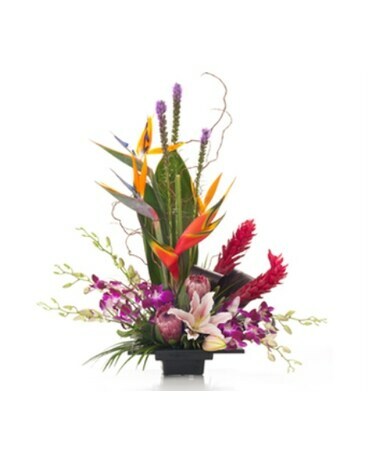 King protea, birds of paradise, ginger, heliconia, lilies, liatris and orchids, along with distinctive foliage, arrive in a low plastic dish.